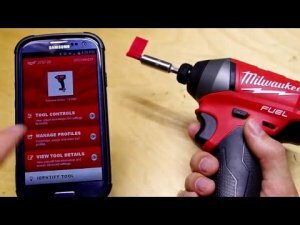 Tool Blog Reviews Is Milwaukee One-Key A Useful Feature or Useless Gimmick? When I first heard about the features Milwaukee was planning on incorporating into their One-Key system I could not help but feel like a little kid waiting for that hot new toy of the year to come out. After getting samples of the Milwaukee One-Key Drill (2705-20) and the One-Key Impact (2757-20), and after the new-tool-high started to wear off, I got down to business, trying to find out if the One-Key system is a useful feature or just something fancy that I can show to the co-workers but would rarely use. Is was time for me to find out if Milwaukee One-Key is a useful feature or useless gimmick. It is easy for me to get drawn into flashy new features when I get tools for free and don't have to justify the purchase, which is why I try to prove to myself that these new features are actually worth it. Is this new feature going to be a benefit to me daily, or is it something that I will only use once in a while? If I only use it occasionally, the feature really needs to pay for itself at each and every use. I will start out by saying that the Milwaukee One-Key system is specifically designed for professionals, not that consumers can't benefit from One-Key, but it makes less sense to pay for premium features on a tool you might only use a few times a month. Not only that, but I feel it is best used for tasks that are somewhat repetitive, so the customizations can be set and utilized. As simple as I can describe it, One-Key is a system of hardware and software that work together to make your power tools smarter. 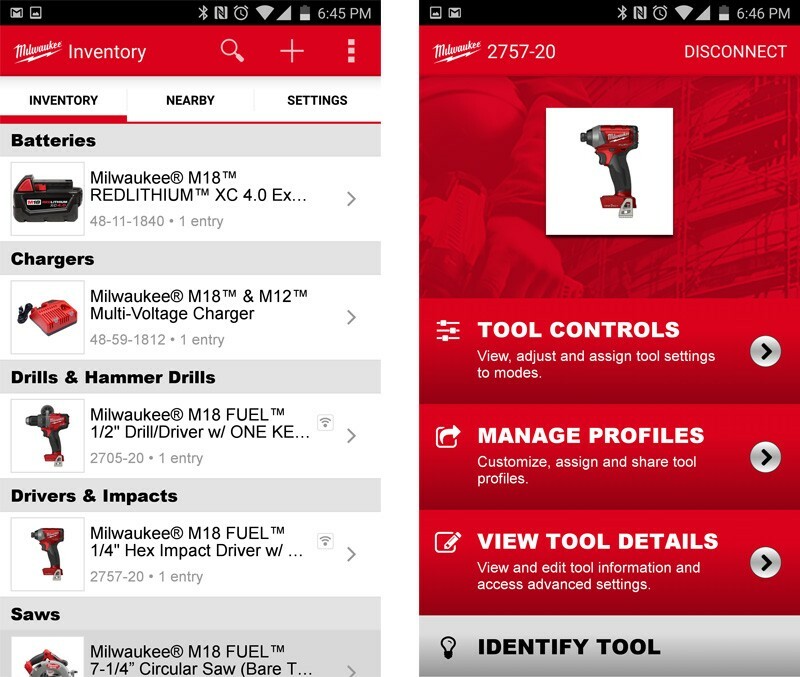 For the Milwaukee Drill and Impact, this means users can customize the control of the tools and setup profiles that can be configured with the One-Key App. Things you can control include, RPM's, speed ramping, Kickback-Control torque shutoff, LED light control and more—the available configuration option will depend on the tool. The ability to customize your tool specifications to suit your needs is something I would have never even thought of, and it is a game changing feature, but it can easily be dismissed has being a gimmick if it is not set up correctly. I made a simple video (below) to show off how I can just change the features of a Milwaukee Impact on-the-fly, but that is not what One-Key is really about. For a One-Key Drill, you might want to have a profile for drilling with a hole saw, a different one for drilling with a masonry bit, one for drilling wood, and another for metal. Each one of those tasks would require different settings that would make completing each task easier. For the hole saw, I might want a medium speed with a slow ramp-up and ramp down, and the kickback shutoff feature enabled. For wood, I might want a faster speed with less torque, and no speed ramping. With the Impact Driver, you would want a different profile for driving lag bolts, then you would want for driving #8 wood screws. The ability to switch between the two profiles in seconds with the on-tool mode button is what makes customization useful; without that ability, One-Key would be practically useless. Should I Upgrade To Milwaukee One-Key? With Milwaukee One-Key, I feel its value really depends on what kind of work you are in. If either of these tools is not a tool you rely on heavily for work, you probably do not need to upgrade to get the One-Key features. For me, a cordless drill and impact are essential to my job, so any feature that can make these tools work better or safer, for me, is a benefit. Not every feature is going to be used all the time, but most tasks I do throughout the day can benefit from the customization provided by One-Key. With so many customization options available it can get overwhelming, but if you take to time to think about how you set up your profiles, it can be a real timesaver. If you are not going to buy One-Key tools because you don't need customization, or you don't think you do, you should buy it because of the Tool Tracking feature. Since One-Key needs to be set up with an App which connects via Bluetooth, it can also be used to locate tools that go missing. 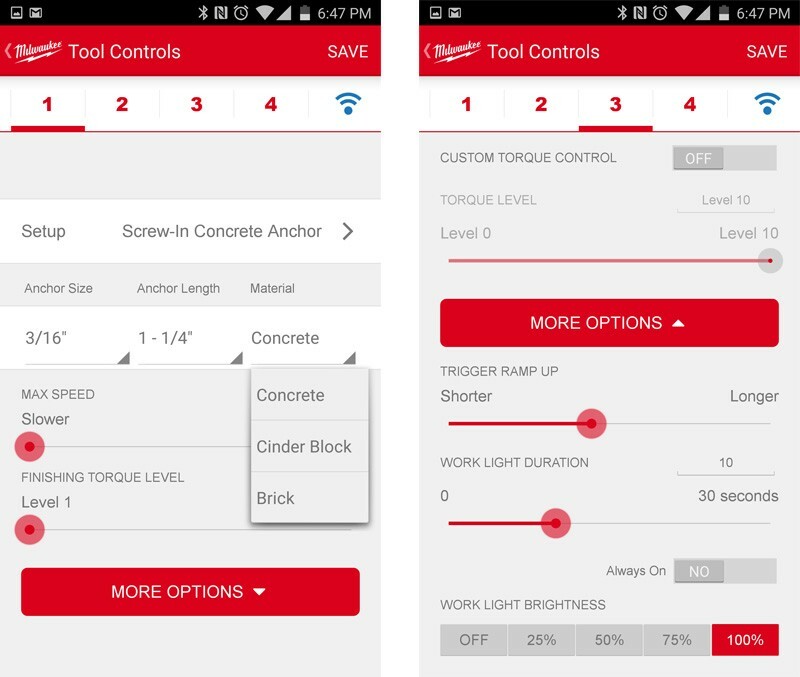 The One-Key App uses the GPS built into our phones to keep track of where it last saw your tools. 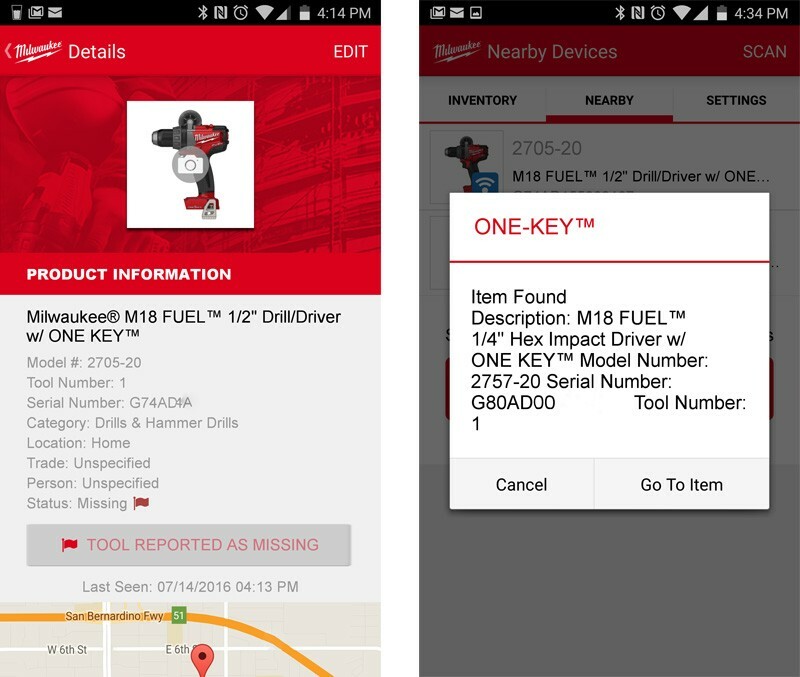 If you leave a tool behind, the app can help you locate it. What's even better, if a tool is stolen you can mark it as lost in the app, and if anyone with the One-Key app on their phone comes within range of your missing tool, it will send you an alert with an updated location. Even if a thief steals a tool and takes it off the job, if he ever tries to use it with the app, you will get his location. Large companies can keep track of their tools and the workers they were assigned to, while individual owners can rest easier knowing that their tools are trackable. I know how quickly tools can disappear on a large job when you have hundreds of workers coming and going, and I have been looking for ways to keep tool more secure for years. How can One-Key be improved? Setting up profiles is the most time-consuming part about One-Key, so more preconfigured setups would be welcomed. I would like to see Milwaukee have recommended setups for more of the most common drilling and screwing tasks. It is also somewhat tricky trying to assign a custom profile to a specific number slot, so this needs to be improved. If I was designing the App, I would have users setup custom "profiles" to match their tasks, and have them create "scenes" that let them choose which profile goes with which number slot. If you are working in the shop you would use your "shop" scene, then when you went out in the field you would use "field" scene. Anytime you need to create a new scene, you can select from your existing custom profiles or pre-configs. Smartwatch integration would also be a nice addition. Users with smartwatches could swap out profiles with the swipe of a finger without having to dig in their pocket for a phone. The number one feature I would like to see added to One-Key tools is some kind of audible locating beacon. Once you are in Bluetooth range of a stolen or missing tool, switching on a locating beacon could really help you pinpoint its location. Another way to make theft less likely would be an option to limit the tool to only one user. So, even if it was stolen, the thief would not be able to use the tool with the One-Key App. I think I have answered the question of if Milwaukee One-Key is a useful feature or a gimmick. It is only a gimmick if you don't know how to use it, or if you use it incorrectly. It is not really a feature designed for consumers, but in a few years I think One-Key will be pretty much standard on all Milwaukee Tools. Unless other manufacturers can match or beat One-Key in the next few years, I predict Professionals will be making the switch Milwaukee.